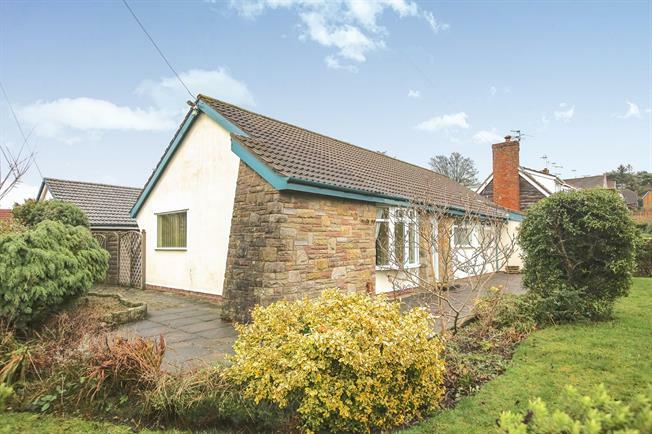 3 Bedroom Detached Bungalow For Sale in Macclesfield for Guide Price £240,000. Offering spacious and versatile living space this three bedroom detached bungalow is offered chain free with scope to improve, accommodation comprises entrance hall, large lounge with dual aspect windows, kitchen with fitted units and space for appliances, conservatory, three bedrooms all with built-in wardrobes, family bathroom and separate wc. Externally to the front of the property is off road parking and a front garden. At the rear the garden is low maintenance being laid to patio.